SURIGAO CITY, Surigao del Norte, Sept. 15 (PIA) – A Roll-on, Roll-off (RORO) ferry boat, Maharlika II, bound for Liloan, Southern Leyte from Lipata Port, this city sank off the coast of Pintuyan, Southern Leyte on Saturday evening, September 13, 2014. The vessel manned by Captain Juan B. Cayago departed the port of Lipata at around 11:30 in the morning, carrying about 58 declared passengers including 32 crew and 13 cargoes vehicles when it sank. As of 12:15 noon, Sunday, September 14, a total of 113 passengers were rescued by responding vessels including M/V Maharlika IV, M/V Lara Venture, M/V Filipinas Maasin and M/V Orient King in coordination with the Search and Rescue Team of Philippine Coast Guard (PCG), Philippine Air Force, Surigao Divers Club, Surigao City and Surigao del Norte Disaster Risk Reduction and Management Council, Surigao City Rescue Team and Emergency Response Service, Philippine Red Cross, Port Police Office, and Philippine Ports Authority. Out 113 survivors, 16 were rushed to Caraga Regional Hospital for minor injury and 3 casualties identified as Armando Mosquedo, 64 years old from Cagayan de Oro, Rahima Ismael, 20 years old from Maguindanao and one unidentified female victim. PCG District Northern Mindanao Deputy Commander Captain Joseph M. Coyme confirmed during the press conference that out 113 rescued passengers only 58 were listed in the manisfesto and more or less 58 were undocumented including the casualties and maybe some others are still missing. He also confirmed that a Maritime Casualty Investigation Team from Manila will arrive soon to conduct a formal investigation to determine the cause of the said sea mishap. “We will not stop the search and rescue operation until one single body will be recovered,” Capt. Coyme said. BUTUAN CITY, Sept. 15 (PIA) – In line with the upcoming TreeVolution: Greening MindaNOW on September 26, 2014, the Agusan del Norte Provincial Environment and Natural Resources Office (PENRO) will be planting 12,500 seedlings covering a total of 25 hectares with an expected 625 planters distributed at the identified planting sites at Maug and Tungao, this city. The activity will start at 8:30 a.m. until 9:30 a.m.
“In support to the fourth year implementation of the National Greening Program (NGP) of the government under Executive Order No. 26 and with our attempt to place the Philippines as the Guinness World Record breaker for Mindanao covering a total of 9,200 hectares in just one hour, Caraga region aims to plant 541,065 seedlings covering a total of 1,170 hectares with an expected 27,054 planters to participate in the said event,” revealed OIC-PENR Officer Paterno Olivera. Mindanawons will try to break the Guinness world record for most trees planted simultaneously at multiple locations on September 26, 2014 – a world record-breaking attempt that will mobilize 185,440 people who will give a shot at planting 4,636,000 trees at various sites covering a total area of 9,200 hectares within the island-region. BUTUAN CITY, Sept. 15 (PIA) – The National Academy of Science and Technology, Philippines (NAST-PHI) together with the Department of Science and Techonology (DOST) Caraga is set to hold the Biotechnology Information Education and Communication (IEC) Forum on September 19, 2014 at Samping Avenue Function Hall, this city. “The NAST-PHI is implementing its project entitled Capability Building and Systainable Biotechnology IEC for DOST and local government unit key personnel that aims to create awareness of and provide science-based information on modern technology, including biosafety issues and concerns to key personnel in various LGUs and DOST regional offices including policy makers, provincial and municipal agriculturists, farmers and fishers," disclosed DOST-Caraga regional director Dominga Mallonga. The following topics will be thoroughly discussed by the invited speakers during the forum: 1) Introduction to the Biotechnology IEC Project of the NAST-PHI; 2) Biotechnology for Everyone; 3) Current Applications and Products of Modern Biotechnology; 4) Technological and Social Issues and Concerns; and 5) Assuring the Safety of Modern Biotechnology. Mallonga also bared that NAST-PHI is the country’s highest advisory body to the government and the science community on matters related to science and technology. It also has the mandate to recognize outstanding achievements in science and technology made by Filipino scientist in all fields of science. “The NAST-PHI has its mission to recognize exemplary science and technology achievements among the young and among peers; to encourage individual Academy members to continue their scholarly pursuits thereby making the Academy the principal reservoir of scientific and technological expertise in the nation; to provide independent and science-based advice on problems facing the nation and the world; and to link the like-minded institutions and individuals in promoting scientific achievement in the Philippines and abroad, among others,” reiterated Mallonga. BUTUAN CITY, Sept. 15 (PIA) – On Friday, a team from Department of Environment and Natural Resources (DENR), Butuan City Water District (BCWD) and Agusan del Note First District Constituency Office (DCO) conducted a preliminary site validation to 49 of the 130 hectares reforestation project to Taguibo Watershed lodged under the partnership of BCWD, DENR, Fr. Saturnino Urios University Foundation Inc. (FSUU FI), and DCO. Accompanying the team were members of the partner people's organization, the Anticala Watershed Farmers Producers Cooperative (AWFPC). The total 2014 National Greening Program (NGP) target identified some 749.12 hectares for the development of the Taguibo River Watershed Forest Reserve. Fought to become a model NGP site, the partnership incorporates reforestation, livelihood and continuous community organizing components. At the onset of the partnership, a multi-partite memorandum of agreement (MOA) was entered by and between DENR, BCWD, FSUU FI, and Rep. Lawrence Lemuel H. Fortun for the implementation of 2014 NGP covering 130 hectares of upland within Taguibo Watershed. BUTUAN CITY, Sept. 15 (PIA) - The Philippine Statistics Authority (PSA) Caraga will be conducting the 2013 Annual Survey of Philippine Business and Industry (ASPBI) and its rider survey, the 2013 Survey on Information and Communication Technology (SICT). The 2013 ASPBI aims to collect and generate information on the performance, levels, structure and trends of economic activities of the formal sector in the entire country while the 2013 SICT will generate information on the availability, distribution and access/utilization of ICT among establishments. On the other hand, the 2013 List of Establishments has to be updated as they will be used as frame for the selection of samples for the 2014 ASPBI and the 2014 Survey of Tourism Establishments in the Philippines that will be undertaken in 2015. Specifically, the 2013 ASPBI aims to collect and generate detailed information on employment, income, expense, capital expenditures and total assets of the establishments; generate indicators such as value added, labor productivity, average compensation and others necessary to evaluate the performance of industries at the national and regional levels; generate MSME (micro, small and medium establishments/enterprises) data using total assets; and gather information for the improvement of the list of establishments. Meanwhile, the SICT survey aims to measure the component of ICT resources and their utilization by establishments; diffusion of ICT into establishments from various sources; e-commerce transactions from data on e-commerce sales/revenue and purchases; cellular mobile phone business transactions from data on sales/revenue; estimate of the number of ICT workers in establishments; and methods of disposal of ICT equipment. TANDAG CITY, Surigao del Sur, Sept. 15 (PIA) – Proposals submitted to the Department of Trade and Industry (DTI) in Surigao del Sur (SDS) under the Shared Service Facility (SSF) project are due for deliberation Monday, September 15, 2014. “As a public-private partnership initiative, implementation of the project will be through private sector partners who can provide sustainable facilities to house the machines/equipment,” Oribe stressed. TANDAG CITY, Surigao del Sur, Sept. 15 (PIA) –The Department of Science and Technology (DOST) through its Provincial Science and Technology Center-Surigao del Sur (PSTC-SDS) assured small and medium enterprises (SMEs) here of their continued support. Earlier, the DOST chief bared its accomplishment in Technology Transfer and Commercialization; Science and Technology Services; and other priority areas as of July, this year. 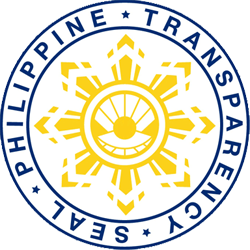 Under technology transfer and commercialization, Soliano cited the approved six business establishments that they “were able to identify and package” for Small Enterprise Technology Upgrading Program (SETUP) funds amounting to a total of P2,911,100, thereby posting 42.86 percent accomplishment of their goal. Three of these businesses are located in Bislig City; two in Cantilan; and one in Hinatuan, he said. Soliano pointed out that these core projects have something to do with coco fiber processing facility—P480,000; technology to improve productivity of bakeshop—P292,800; and production facility of foods—P95,800 in Bislig City; rice milling facility—P1,840,000 as well as prints and designs—P78,500 in Cantilan; and, furniture shop—P124,000 in Hinatuan. It was learned that PSTC-SDS was also able to assist seven existing core firms and conduct technology interventions to 15 core projects, which generated employment of 17 persons. The said office has likewise reported to have facilitated and conducted various technology training, fora, and clinics under science and technology services. Moreover, on other priority areas, the PSTC here has continued to pursue and promote the DOST thrusts as well as extend other services like its S & T Library and Information, he told. TANDAG CITY, Surigao del Sur, Sept. 15 (PIA) – The National Food Authority (NFA) in Surigao del Sur sees commercial rice price to go down anew with the onset of harvest season. In fact, NFA Provincial Manager Gleen Echin said that harvest season has already started in Madrid town, 61 kilometers north of this city. Early last month, a P1.00 drop in commercial rice price per kilo has been posted based on regular NFA daily price monitoring. Currently, Echin told that commercial rice prices now remain between P43.00 - 44.00 per kilo. AGUSAN DEL SUR, Setyembre 15 (PIA) - (Madrid, Espana) Pinasalamatan ni Pangulong Aquino ang komunidad ng mga Pilipino sa Espanya sa pagsuporta sa Philippine international basketball team Gilas Pilipinas sa kanilang pinakahuling kampanya na ginawa sa FIBA World Cup. 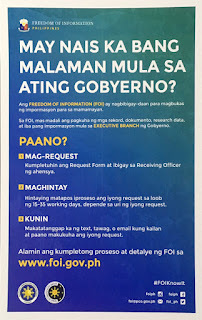 Sa kanyang pakipagpulong sa kumunidad ng mga Pilipino sa Madrid noong Linggo, sinabi ni Pangulong Aquino na datapwat hindi nagawa ng Gilas Pilipinas ang susunod sanang baitang ng torneyo, dapat maipagmalaki parin ng mga Pilipino ang koponan sa ipinakitang kahanga-hangang paglaro. "Hindi nga natin naipanalo ang kampyonato, pero napakaraming mga tao ang humanga sa kahanga-hangang kakayahan ng ating mga Pilipinong atleta,” sabi ni Aquino. Sinabi niya na maaring tayo ang may mga mababang manlalaro sa FIBA, pero hindi nito napigilan ang koponan na bigyan sila ng mahirap na laro laban sa malalakas na koponan tulad ng Greece, Argentina, Puerto Rico at Croatia. “Walang maaring magsabi na ang koponan natin ay nagkulang sa pagpakita ng kanilang determinasyon, kagalingan at ng kanilang puso sa bawat laro kaya dapat lang na maging maipagmalaki natin iyan,” sabi ng pinunong ehekutibo. Sinabi ng Pangulo na siya ay natuwa na ang mga Pilipino kahit na nagmula pa sa ibang bansa ay lumipad patungo sa Espana para ipakita ang kanilang suporta sa Philippine Basketball team. Naipanalo ng Gilas Pilipinas ang puso ng marami sa pamamagitan ng mabuting paglaro at nakaka inspire na mga laro sa FIBA World Cup.